A is for Anticipation. I've been blogging for quite a few years now and this blog, Curling Stones for Lego People, will be 2 years old this July... I usually blog on average around 7 posts a month and even at my busiest I've only ever blogged 17 max - so to sign up to blog 26 posts in one month and to restrict these by structuring them alphabetically and on my usual topic of modular or charm jewellery seems a little crazy! 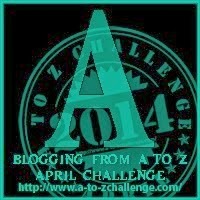 Thanks for visiting and touching base on Day 1 of the A to Z Challenge! Only another 25 letters to go! I love all comments, and can't wait to read your blogs & links :) I'm worried I'll never get the rest of the Alphabet written up as I keep finding such cool blogs and bloggers to read! ooohhh. Amber. Looking like lifesavers. (I'm like a magpie. I love shiny things. And amber.) A whole alphabet of bling! It could work. Well done Mars, looking forward to the next 25!! Yay!! Day 1 done! :D You'll do fine! Ha ha, I know, I've been loving leaving comments on all the Wordpress blogs... it's just so simple! I will have to conduct an experiment with iPad users I think... maybe in May! Thank you! I am seriously in love with your blog's header... popped in briefly and have bookmarked you to go back to! Thank you both, the support from the community and others for the challenge has been amazing! Just keep writing! You will get through it! For me, I had to be organized or I wouldn't have gotten ANYTHING done. But winging it is something I am already thinking about for next year! I know, TOO much planning. And I love Amber, I have a few pieces with it, myself! Thanks Cristina, I've been partially organised, wrote A last week but didn't stop me editing it this morning at 8:29am though... first timers nerves I think! Great support from everyone and I love the painting you used on your blog for A! Thanks for the support Sivakarthik, your challenge sounds way more challenging than mine, just popped over to yours but about to have some food so will visit later on in the challenge properly! Anxiety, yes, plenty of that! I'm actually not a fan of writing in advance. I like the freshness and immediacy of a blog post written and posted straight away. 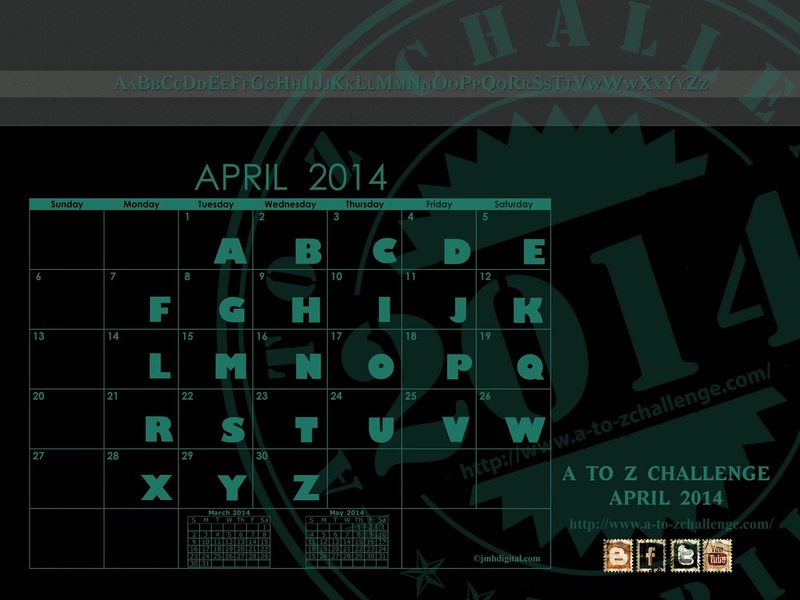 Enjoy the challenge! p.s. love your image for B is for Bold! oops sorry Meryl... now that's posting immediately... no checking that my fourth finger didn't sneak in a fraction faster than my first finger did! Don't worry, it happens to me, too - and it's my name! Thanks so much for visiting my blog today! Although I know absolutely nothing about jewelry, other than I like to wear it, I am glad to find your blog and will keep checking in. Actually, my sister makes jewelry so I'm sure she'd love to check this out. I'll pass it along to her! Thanks for stopping by, I love the fact that there is such an eclectic mix in the A to Z challenge, I've been discovering blogs that I never would have found even if I was looking for them - makes it a lot more fun I think!